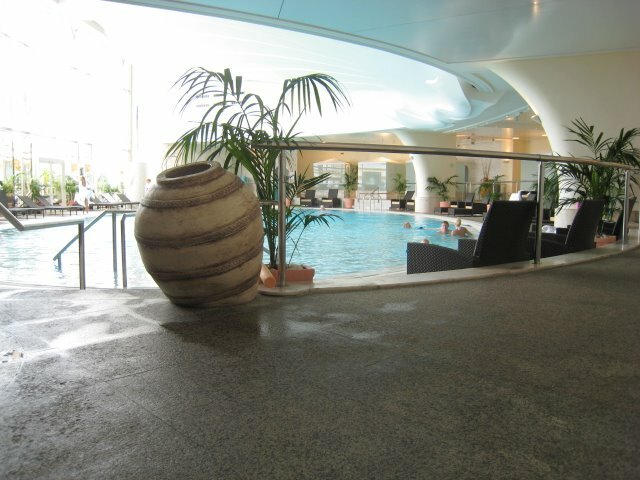 Les Thermes Marins de Monte Carlo is a beautifully appointed and modern gym/spa situated opposite the main port of Monaco. This beautiful pool opens onto a sun terrace overlooking the port - there's also a restaurant alongside with a menu of fresh and healthy food. If you work out on the machines you do so with the yachts in the harbour before you. You can have massages, beauty treatments, saunas, work-outs. If you stay at the Hôtel de Paris or the Hôtel Hermitage you can walk through to the spa in your white towelling dressing gown following a special underground tunnel. You can read more at this link.